The Washington Nationals assistant GM Doug Harris has been going through a difficult battle with Leukemia since 2016 and in May of 2017, the 47-year-old underwent a bone marrow transplant in the effort to defeat his cancer permanently. Unfortunately, Harris has not completely ridden himself of this horrible illness, and he is set to undergo a new and unique medical trial called CAR-T cell therapy. Like any revolutionary and potentially ground-breaking treatment, the procedure is very expensive, costing anywhere up to $400,000 and not covered by medical insurance, according to MASN's Byron Kerr. In response, the Nationals organization recently started a GoFundMe page for Harris, asking the fans and public to donate money and help financially support Doug's treatment. Though this is a great gesture, we can't help but wonder why the Nationals ownership doesn't do the right thing and step up to pay Harris's medical bill themselves. It's not that fans aren't willing to help, but being that they already support the team in many ways by buying tickets, merchandise, etc. while previously helping to fund the franchises new stadium, ownership can't intervene and help their sick employee? That's ludicrous considering how much money owner Ted Lerner and the rest of the franchise is worth. Rightfully paying for Harris's medical bills would cost peanuts to the franchise. 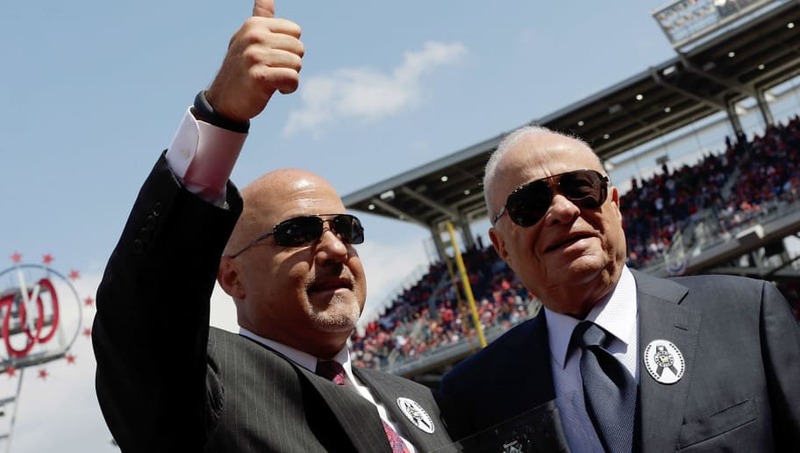 The Nationals front-office needs to band together here and do what's right for a man who has been with the team since 2010 when he started out as a farm system director before working his way up to multiple roles. It shouldn't even be a question.